Hiya guys! How's it going? Once more I feel I am digging into an archive, because I am sharing a collection I have had ready for a few weeks. I really hate to have fallen so far behind, but the good thing is that after this post I am all caught up. So there is that light at the end of the tunnel! 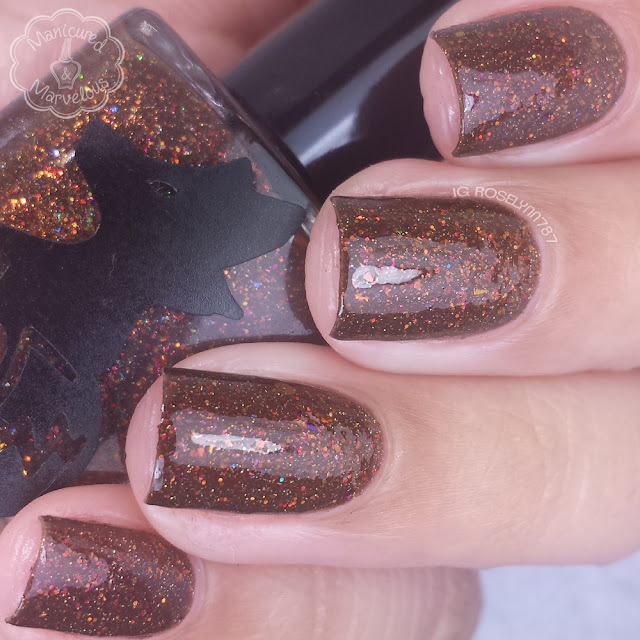 Now for today I am sharing the Fall 2015 Collection from Frenzy Polish! Yes, this is that gorgeous 8-piece set you have seen across social media so much the past few weeks. And if you haven't seen them, then you m'dears are in for quite a treat. The Fall 2015 Collection from Frenzy Polish is available for purchase. Each polish retails from $8.50 to $9.00 for full-size bottle. The shop is closed from Sundays at 8am EST to Wednesdays at 8am EST and will be open for orders the remainder of the week. Falling Leaves can be described as a white crelly filled with orange, golden yellow, and red glitter and flakes. I'll start off by saying I wanted to love this one so badly, I really did. Although the glitter combination is flawless and gorgeous, the formula falls a little flat for me. The consistency tends to be really sheer and takes at minimal three layers to have an opaque finish. Perhaps layering it over white would have worked a bit better. Shown here in three coats and sealed with a topcoat. Cashmere Sweater can be described as a dusty mauve/pink holo creme with silver flakes. This is one of those shades that never gets enough love. I think some refer to it as a 'grandma shade', but I actually really love it. This doesn't mean I'm an old-timer, does it? Haha. This has a really opaque formula on the first coat. The consistency is a great balance between thick and thin for perfect layers. Shown here in two coats and sealed with a topcoat. Fireside Therapy can be described as brown jelly packed with copper, brown, red and gold flakes and glitters. One of my favorite color to glitter combinations in this collection. It's not only incredibly gorgeous, but really has a unique feel to it. Really captures that wood burning in a fireplace feeling. The formula is a little on the sheer side, but self levels well with each layer. This dries to an extremely gritty/texture finish on its own. 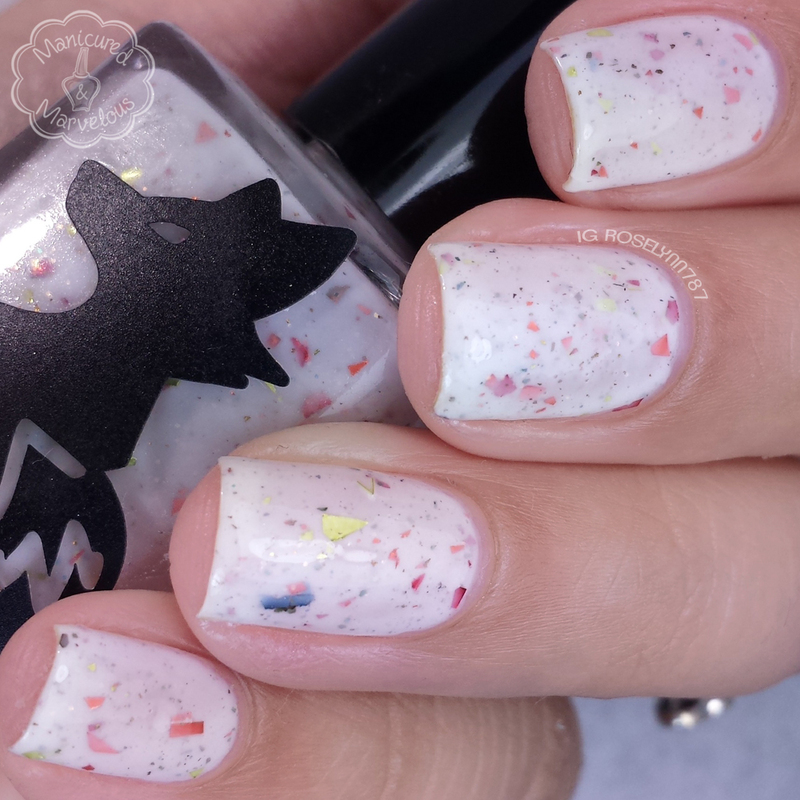 You really need to double-down on the topcoat to smooth down all the glitter action. Shown here is three thin coats sealed with topcoat. Sage & Saffron can be described as a creme finish with lots of little specks of gold, copper, green, and brown. Such a subtle, but gorgeous shade. It's a very office-friendly kind of shade, which is perfect for my day-job. The formula was great throughout and has an even smooth application. For the finish, this polish ends up drying semi-satin on its own. Shown here in two coats and sealed with a topcoat. 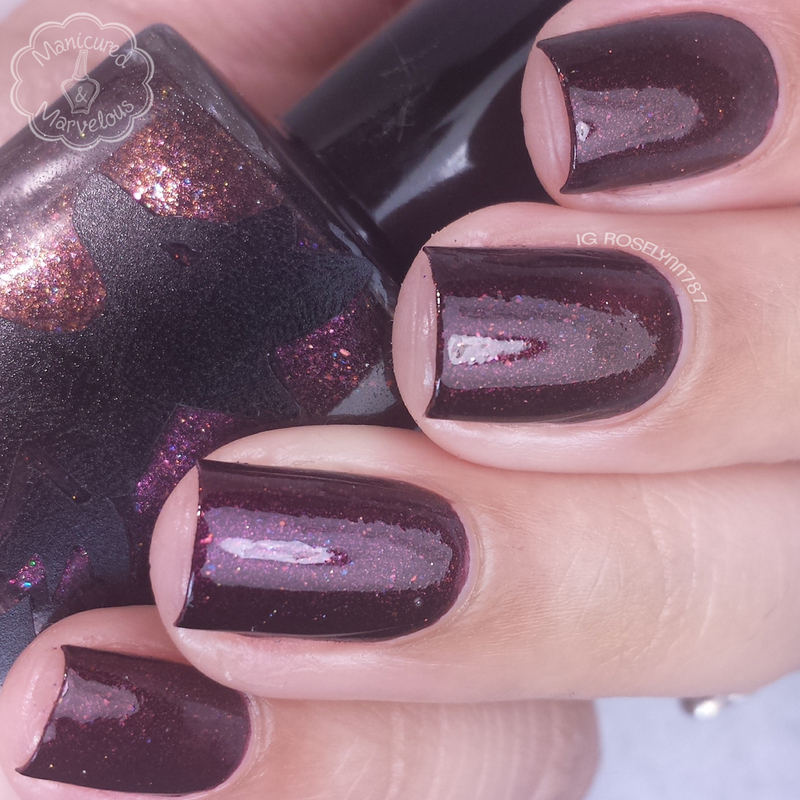 Berry Cobbler can be described as a blue crelly packed with shimmer and micro glitter. The bits of purple here and there really add a nice touch to this polish. It's those small details throughout this collection that I feel makes the shades stand out so much. Nice and smooth formula with this polish. Opaque on a first coat, but needs a second to help with self leveling. The finish does end up drying a little bit on the gritty side so I would suggest doubling up on the topcoat. Shown here in two coats and sealed with a topcoat. Crushed Cranberries can be described as a very deep, blackened red with red flakes and shimmer. I have such an affinity towards red vampy shades like this, especially if they're squishy! This just totally screams holiday fun to me. The formula is a little on the thin side, which causes it to run easily if you overload the brush. But the consistency is opaque despite its thinness and self levels beautifully. Shown here in two coats and sealed with a topcoat. Nature Walk can be described as a mossy green creme holo with green and gold flakes. Again with this one, it's another underrated tone that is showcased here beautifully. Very unique to my collection. I did notice the polish has a slight skunk-y kind of smell, it's not too noticeable if you don't have a sensitive nose like me. The formula for this one is very smooth and opaque on a first coat. The flakies end up being very subtle in the finish. Shown here in two coats and sealed with a topcoat. Apple Picking can be described as a teal-y green jelly with various colors and sizes/shapes of glitter. I remember back when previews were first being released, this is the one that immediately caught my eye. It's such a different take on the inspiration yet it nails it perfectly. The formula feels a little too sheer and the consistency just a tad too thin for my liking. The glitter coverage though is very impressive in each brush stroke, there is certainly no need to fish for glitters. Shown here in three coats and sealed with a topcoat. Overall I do like the range in shades in this collection, all of them really nail the fall season. I really do wish some of them, like Apple Picking, would be a bit more opaque in less layers. If it wasn't for that this would be a thorough A+ collection. Definite must-have guys is Fireside Therapy without a doubt. Did you guys get a chance to nab any of these yet? Which one is your favorite? Great polishes, & amazing swatches! Ahh, these beautiful swatches remind me that I love this collection and still don't own it! They all look so beautiful but I love Apple Picking! That's definitely a good pick! No pun intended haha. And photos really don't do them any justice. 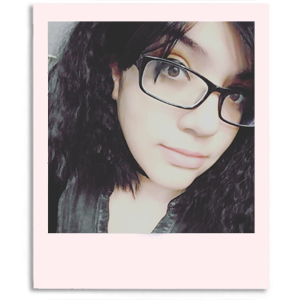 I picked up 4 of these shades and I'm so glad I did. Though now I want to go back and buy Berry Cobbler! Such a gorgeous collection. My faves are Fireside Therapy and Crushed Cranberries! So many great, complex shades in this collection! Fireside Therapy and Nature Walk would be my top picks but I love this whole collection! No way I could pick a favorite. Love them all! What a fantastic fall collection! I need Cashmere Sweater. For science. Haha yes. All the polish please. For science. This could save lives you know. I love Fireside Therapy and Berry Cobbler! I think Falling leaves is my fav..super pretty! I have these and love them all. I feel like Frenzy is a brand that is pumping out some of the most unique polishes these days. Thank you so much for the honest review and the beautiful swatches! !